Here is the webinar that we've been talking about in regards to e-mail marketing efforts to develop loyal customers. Click on the image to access a recorded version or a PDF of the slides. As we draft our PMS goals for this FY and look at our Branch marketing efforts, I thought these would be good tactics or components of a pilot strategy that we could take a look at. The suggestions are pratical and would apply to our A`o Makua audience. Many of the tactics also seem relatively easy to create, sustain, track and evaluate. Here's some basic points from the presentation. Why focus on retaining loyal customers? "Loyal customers are more profitable. It costs as much as ten times more to acuire a new customer than to retain an exiting one." 4. Transactional emails - additional product recommendations, points programs, etc. Davie and I were looking at starting a new participant "Welcome E-mail" and a "Birthday E-mail" process. 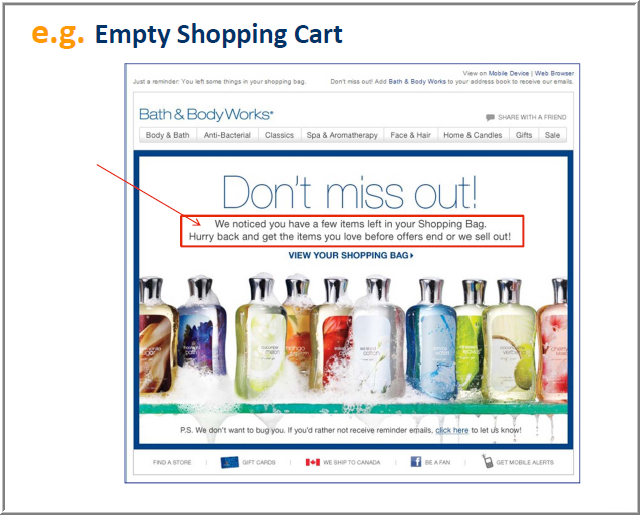 On slide 37, there are also suggestions on how to get the most out of an e-mail newsletter campaign. Toward the end of the presentation, there are also tips for using social media and participant testimonials. I think the recorded session is worth viewing in its entirety for those of you who didn't get a chance to attend or review the slides.